My first career was that of a 1st (and 2nd) grade teacher in the public school system. Although lots of teachers complain about the low salary, fresh out of college and not really knowing any better, I felt like I was making a fortune!! I loved those little kids so much. And I got to teach a lot of them how to read. What a huge, huge honor. But, after only 6 or 7 years, I was feeling pretty frustrated and burnt out. I still loved the kids, but I grew to dislike the paperwork type stuff. And the feeling of never getting caught up with all I was supposed to do. And the administration. And oh yeah, some of the adults I had to deal with. If all I had to do was be with the kids, it might have been the perfect job. I knew of some teachers that were nearing retirement, that I really think should've retired years before. They just seemed a bit too bitchy towards those little kids. And I was afraid that I might become one of those bitchy ladies if I didn't get out before I became too jaded. There's a whole slew of days, and events, and of course certain kids that I look back on with complete fondness. Just the other day, as I was looking at some of the books piled around my bathtub, I thought, "It'd be great to take a whole day off from everything else and just read." 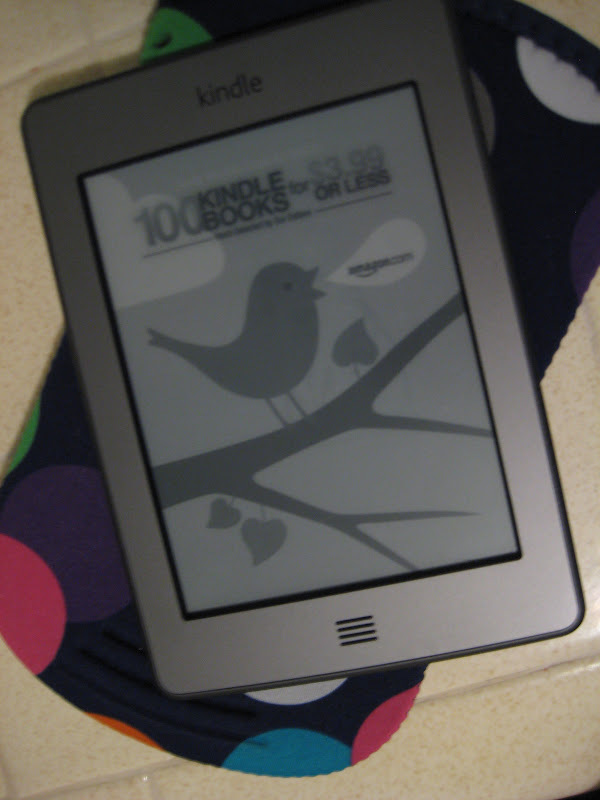 not to mention, the books in my Kindle waiting to be read! And then, I thought back to my teaching days. We used to have a day a month (I think that's about how often we did it...) that we called a "Read In". (Similar to the "Bed In" John and Yoko had to promote peace...) We'd just cleared off our schedule and read all day. Sometimes all together, sometimes paired up with a friend, and sometimes off by ourselves. And as the teacher, of course, I fully participated in these Read Ins to set an example get caught up on my reading. Those were great days! I might just have my own little "Read In" one day soon, and I encourage you to do the same. This is a great idea. My "to-be-read" list goes on and on and on. I used to work in DC and had an hour-long subway commute each way--I got lots of reading done back then. But now that I work close to home, and drive to work, I just don't read like I'd like to. I've also found that I'm too easily distracted by the TV & computer when I try to read at home, so I take myself to a park or to Starbucks. Also, my mom taught Head Start for 20 years. When she retired a few years ago, it was because of the planning and paperwork. Now she substitute teaches and loves it because someone else is doing all that planning and paperwork. She only subs for 3 or 4 of her friends, so she's not overwhelmed with daily requests. Oh, I've been needing suggestions for some new books. I tend to stick to non-fiction, but I do enjoy a good well-written novel now and then. Can totally relate to your teaching experience. I stuck it out for over 30(!) years and although I too loved the kiddos, the paperwork and meetings (special ed) drove me completely batty and I'm so relieved to be away from that! !